If you want to keep our drone, don't fly it over someone else's yard. Keep your crap on your own property or public land. Drones should not be available to the general public. The risk from widespread use is greater than any benefit. Besides being invasive, they can be easily weaponized which should alarm us all. At a certain point we must ask if just because a product is patented, should it necessarily be allowed to be sold to the public? With the level of technology in society today, it seems the answer should be no. 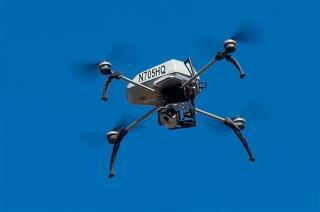 Drones for public safety, science, and certain jobs (deliveries for high volume, etc.) are beneficial. The basic idea is not new -- we have had fun, safe, noninvasive remotely operated model boats, flying planes, etc. for years.